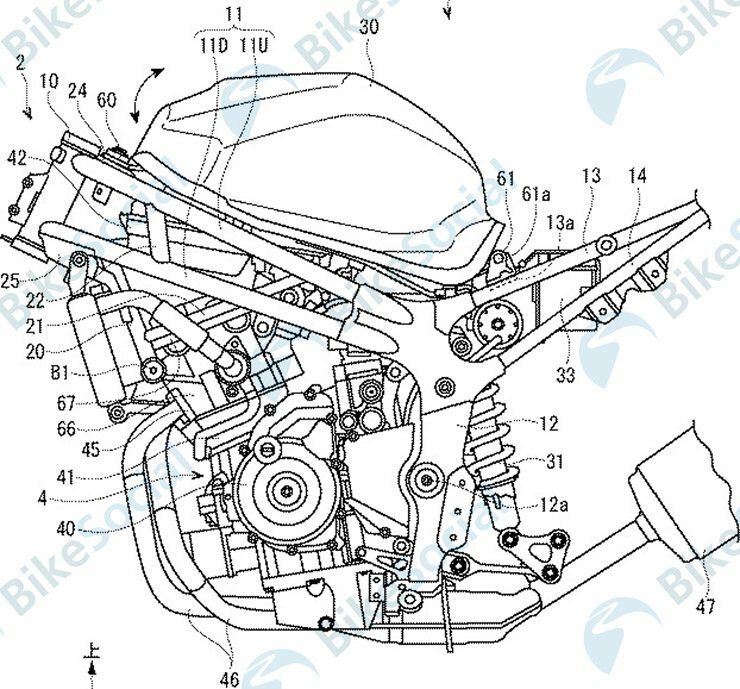 Suzuki GSX-R300 was patented internationally to bring tougher competition to rivals like Yamaha R3, Ninja 400, KTM RC 390 and Benelli 302R. Suzuki GSX-250R is available in certain markets but unfortunately, the motorcycle could never withstand the high output quotient of all others in this segment. It felt under-powered and carried a basic design in comparison to all others or even bikes being sold in lower segments. 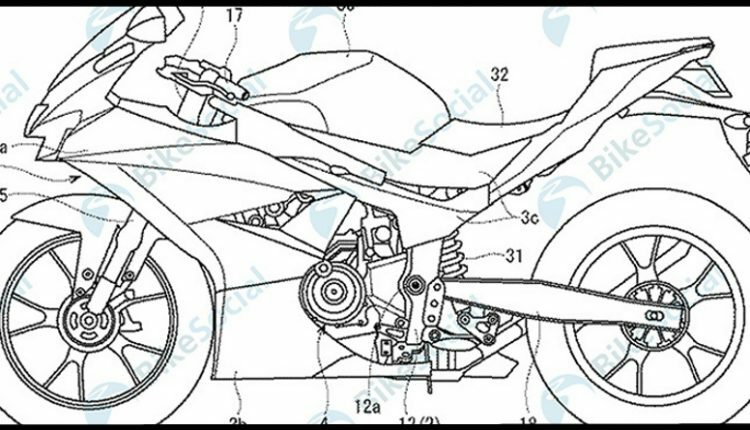 Suzuki GSX-R300 will be sharp, sporty and more proportionally built than GSX-250R. 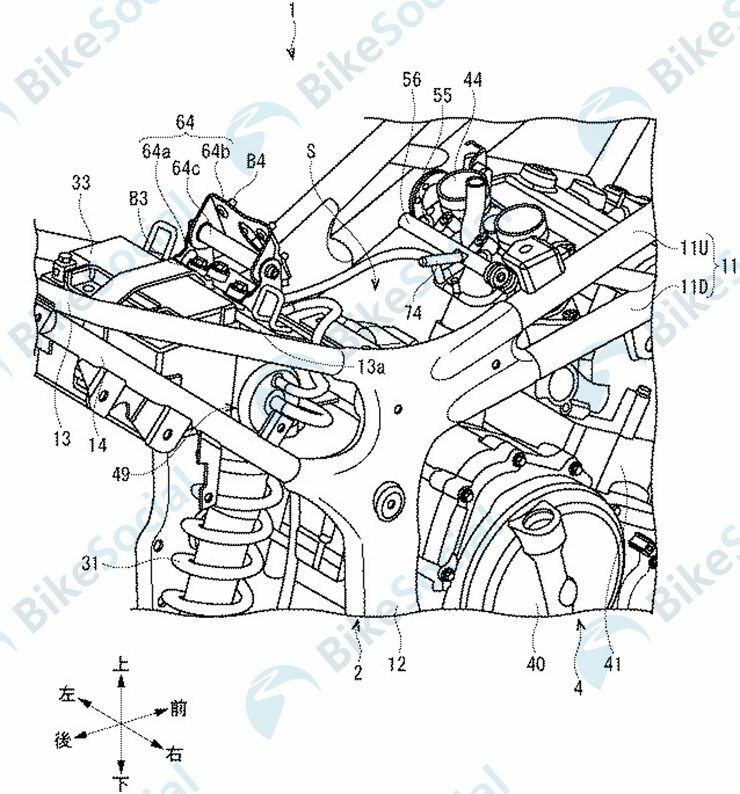 The patent drawing highlights USD front forks, almost vertically angled monoshock, lighter tail section and lower than usual (aggressively sporty) clip-on handlebars. 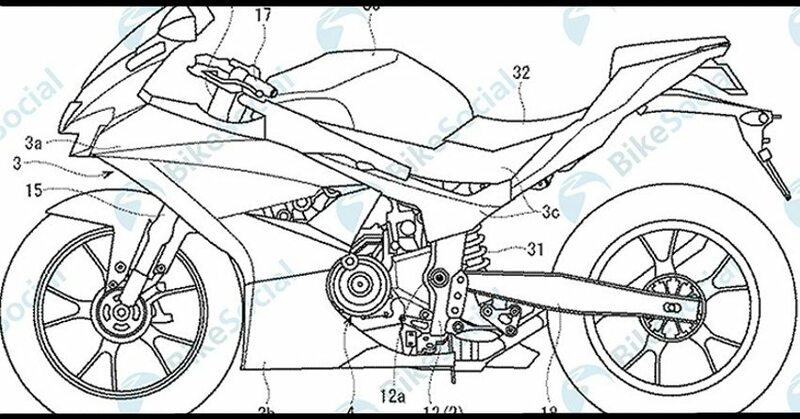 Suzuki GSX-R300 Sportbike Patent Leaked! The interest of buyers in 600cc SuperSport segment saw a sharp decline in last few years while on the other hand, middleweight 300cc bikes have gained traction with affordable placement and impressive power to weight ratio. It injects the sporty feel in beginners as roaring twin-cylinder performance clearly brings goosebumps to fans with a desire to upgrade from lightweight bikes. Another interesting aspect seen here is the use of parallel twin engine layout with more emphasis on peak power. The older 248cc motor in GSX-250R is good for just 24.7 HP at 8000 rpm but segment rival Ninja 250 claims class-leading 39 HP of maximum power. This must have forced Suzuki to consider an engine with 300cc capacity and let the power value break the 40 HP barrier for impressive placement. Being 50cc more than CBR250RR and Ninja 250 will help them claim better torque and thus, pulling power will improve for sure. Suzuki has introduced the powerful GSX-S150 in certain markets and using that as a base can help them get twin cylinder 300cc motor in the easiest possible manner. 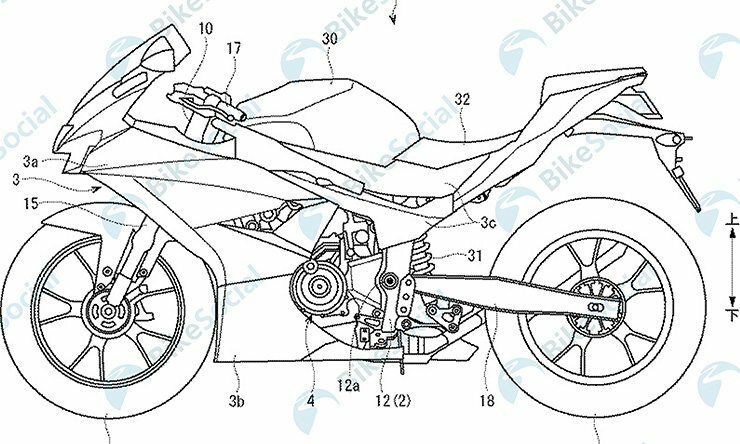 Disc brake on the front wheel will definitely be a single one while ABS will be available as standard like all other rivals.